This is Mill Stream. You’re going to get thrown in on your birthday! 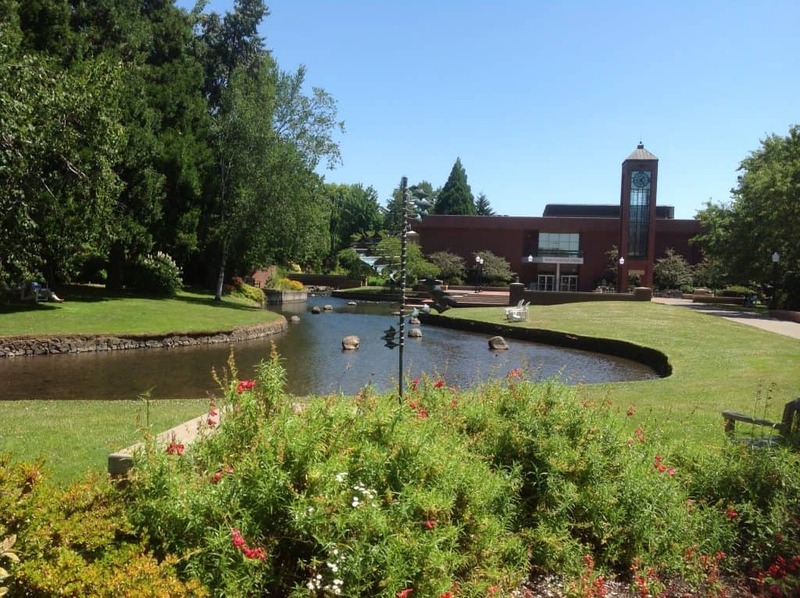 Watch out on your birthday at Willamette University – you’re going to get Mill Streamed! That means your friends are going to pick you up and carry you over to Mill Stream, and dump you into it. And if you dare to have a summer birthday, they’ll do it on your half birthday. The students at Willamette are playful and personable in that way. This is one of the traditions that can make students leave with a great feeling of having had a great time here, both socially and academically. Willamette is right across the street from Oregon’s state capitol building in Salem, so students studying politics, or at the Center for Democracy and Public Policy have incredible access to state legislators and agencies for internships. 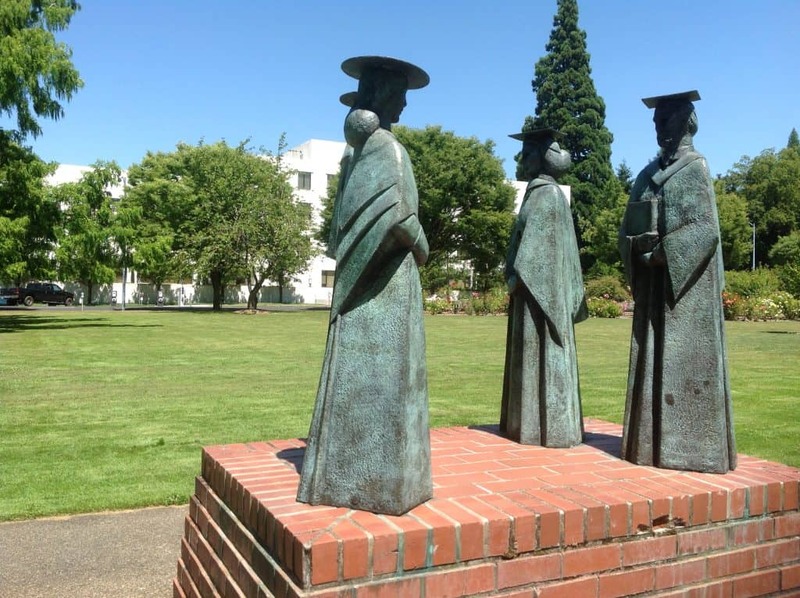 The Center for Asian Studies gives students the opportunity to mingle with students from Tokyo University who spend their second year of college at the Tokyo University facility on Willamette’s campus. About 150 Japanese students come each year for the year, and they are considered part of the sophomore class. The white building in the background is the Oregon State Capitol building. Willamette owns a 300-acre farm and forest, called Zena, which students in the natural sciences and environmental studies use as a laboratory and classroom. Department offices in the academic buildings are called “hearths,” and professors are very available to students – when I toured this summer, a chemistry professor came out and talked to us about the research his students were doing. A Harvey Mudd College alum, he compared Willamette to Pomona College, as far as its size and student intellect. Music is very strong here, and is taught, as are all subjects, within the framework of the liberal arts curriculum. There is a professional quality recording studio on campus. You can see all of my photos from my visit to Willamette here.